1. 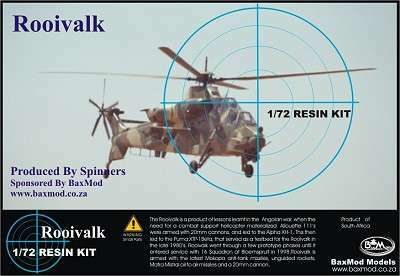 Hot news from South Africa is that a 1:72 Rooivalk is ready for production. The masters have been made by John Weideman, and orders can be placed through Baxmod or by email to Chris Baxter. The resin kit will come with photo-etch parts and a sheet of decals. 2. 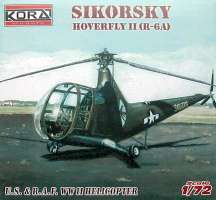 Latest from Kora is the 1:72 Sikorsky Hoverfly II (R-6A), #7269, as first mentioned in HKN back in Dec-02. 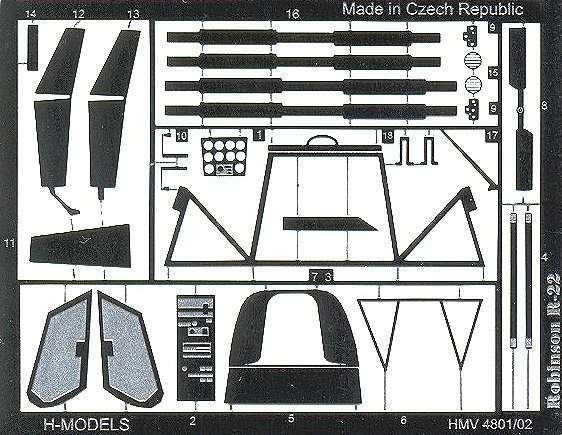 This is a resin kit with vacform canopy and decals, further details not known at present. There are 24 resin parts, a vacform bubble canopy, and about another 27 parts on the etched sheet. AH-1S Cobra Step III #30135. 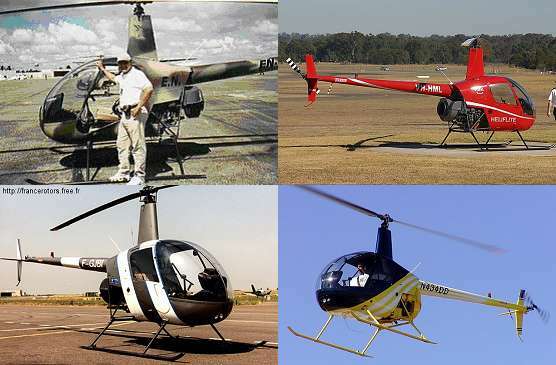 Includes parts and decals for either Step II or Step III airframes, the differences being in the engine, engine covers, main rotor and chin turret. Markings are included for US Army and JGSDF Cobras. Kit has a mix of raised and recessed panel lines and rivets, with the Step III specific parts being recessed while the rest of the parts have fine raised panel lines and rivets. Bell UH-1N Iroquois #30136. Kit features recessed panel lines, raised rivets on the tail (just like the real thing), and an acceptably detailed interior. 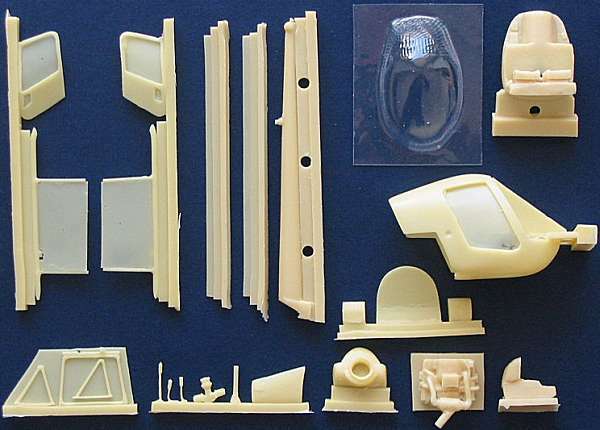 Actually, TWO interiors, as this kit can be built either as a 'slick' version or as a Bell 212 ASW Helicopter. Torpedoes, winch and radar are included for the ASW version, with markings for the Italian Navy. Two marking options are given for the 'slicks', one USAF and one USMC. Westland Lynx ASW #30137. This kit features recessed panel lines and good surface detail, a decent interior, and twin torpedo armament. Decals are included for a UK Royal Navy aircraft and a Dutch Navy aircraft. The second of these schemes is the same as one of those on Hi-Decal sheet #72014. A re-issue of the Maintrack vacform Sycamore, with white metal parts & the original decals, but with new resin blades. If anything here catches your eye, as it surely must, it is important that you email Unicraft with your comments. 8. Within the next few months, Leading Edge are expected to produce a Canadian Armed Forces and Coast Guard decal sheet including the Bell 212 CH-135 with tiger-stripes. 9. Linden Hill's first 'Bush War Hinds' decal sheet is really top quality work, so we're looking forward to Part 2. Linden Hill say that they have already drawn up examples from Uzbekistan, the Serbian Paramilitary, Sri Lanka, Belarus, Ivory Coast, Sierra Leone, Ethiopia, Eritrea, Ukraine, and the GSFG (Group of Soviet Forces in Germany). The problem is that they won't all fit on the sheet! 10. Red Star Volume 14, "Mil Mi-8/Mi-17 Rotary-Wing Workhorse and Warhorse" by Yefim Gordon & Dmitriy Komissarov is reviewed on Hyperscale. Thanks to Tomas Sagitarius, Guy Holdroyd (Linden Hill), Roger Marriott, & Chris Baxter (Baxmod ).